Whether it’s firearm practice at the gun range or a hunting trip out in the field, hitting your target won’t mean much if you’re missing adequate shooting ear protection to guard your hearing. Uncovered ears can suffer auditory damage or even permanent hearing loss when exposed to loud gun shots at close range. Before pulling the trigger, slide on some shooting hearing protection, like a pair of our ear protectors or plugs, specially designed to block out hazardous noises. Hunting for quality gun hearing protection that fits your firearm needs is easy with Enviro’s wide range of ear protectors for shooting. Noise Induced Hearing loss is serious, and silently affects millions, and there is no cure or fix. Once you lose hearing, you cannot recover it. Once your hearing has been damaged, there's very little you can do to restore it. The good news: hearing loss is almost completely preventable. When you use the right hearing protection for shooting, you can preserve your aural health – and that's where EnviroSafetyProducts comes in. Our inventory is overflowing with hearing protection for shooting, hunting earmuffs and other shooting and hunting hearing protection. We invite you to browse our extensive collection today so you can protect your ears tomorrow. You'll be glad you did. 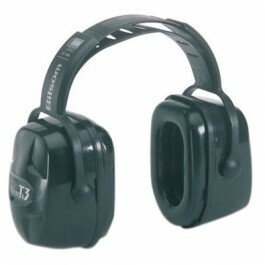 Shooting earplugs are an economical, cost-effective solution to electronic headsets and earmuffs. 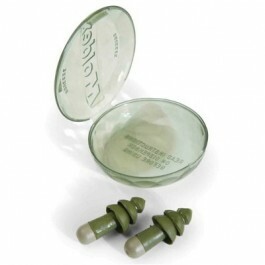 At EnviroSafetyProducts, we carry a huge selection of shooting and hunting earplugs in a variety of sizes, shapes and colors so it's easy to find exactly what you need. We offer earplugs from the world's most trusted manufacturers, like 3M, Peltor, EAR, Howard Leight and Moldex. Some of the hunting and shooting ear plugs in our collection are designed to allow wearers to hear clearly under normal noise conditions; some come with cords for easy access (and to prevent loss); others feature multiple flanges for different levels of protection. 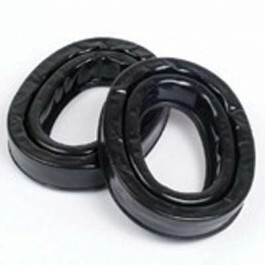 EnviroSafetyProducts carries both foam and rubber ear plugs. While disposable foam earplugs can be economical, some people prefer to order reusable shooting and hunting earplugs. No matter which earplugs you choose, you'll need to make sure they fit snugly in your ear canals (but not too tight – that can cause extreme discomfort and actually provide less hearing protection than those that fit correctly). You'll also need to decide whether you're more comfortable throwing your earplugs out after one use or whether you'd like to wash and reuse them several times. Our selection of disposable earplugs contains several styles available for bulk purchase, so you can order as many as 200 pair in one box. That way, you'll never have to worry about running out of hunting and shooting earplugs – even if you're sharing with several other people. At EnviroSafetyProducts, our catalog is full of top-of-the-line hunting and shooting earmuffs from manufacturers like Peltor, Bilsom and many more. That's because we care about providing the best quality at the most affordable prices. We also carry earmuff hygiene kits so you can keep your set clean and functioning at peak performance. Hunting and shooting earmuffs can block out background noise and protect wearers' ears from sharp percussion noises. Many provide extreme protection for various sound levels, from 21 dB to 30dB. Electronic headsets for shooting and hunting headsets provide superior ear protection for the most avid sportsmen and sportswomen. Using cutting-edge technology, tactical headsets can help you stay connected with others via Bluetooth, can cancel out background noise and can mount on safety hard hats or fit beneath military or other protective helmets. At EnviroSafetyProducts, we know that it's important for shooters and hunters to have all-around protection. We carry a wide variety of safety equipment and protective gear, like reflective vests, safety goggles and more. Please check out our huge collection and order yours today.